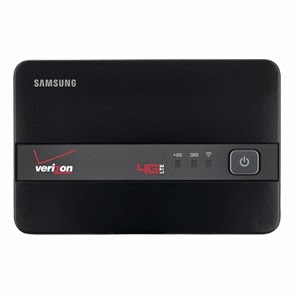 ISSUE: Verizon Samsung 4G LTE Mobile Hotspot SCH-LC11 becomes unresponsive, power light is off, displays three blue lights. Pulling the battery and replacing to reset does not resolve issue and unit again displays three blue lights. Unit will not power off when pressing and holding the power button. RESOLUTION: This is indicative of a bad battery. Remove the battery and place on a flat surface and see if the battery is swollen. Typically units displaying these symptoms have a slightly swollen battery and erratic performance. Battery replacement will resolve this issue. This can be a result of leaving the unit plugged into the charger for extended periods of time.